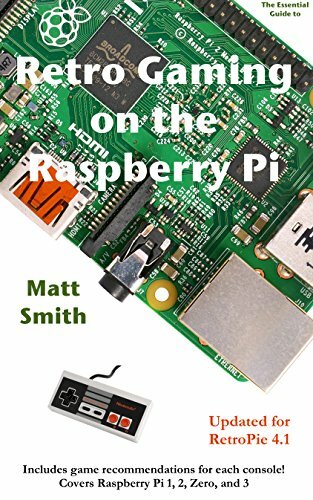 [PDF] Retro Gaming on the Raspberry Pi: The Essential Guide Updated for RetroPie 3.0 | Free eBooks Download - EBOOKEE! Description: Turn your Raspberry Pi into an incredible retro gaming machine running all your favorite games on over 30 historic game consoles. Step by step instructions guide you from start to finish with easy to follow screenshots. Play first (Atari 2600) through fifth (Sony Playstation and Nintendo 64) generation games on any TV using just about any game controller. Join a whole community that has developed around RetroPie, a polished, multi-console, retro gaming experience of the first magnitude. No comments for "[PDF] Retro Gaming on the Raspberry Pi: The Essential Guide Updated for RetroPie 3.0".